The Program is charged with providing quality assured services for schistosomiasis and intestinal worms prevention and treatment to all people in Cameroon. 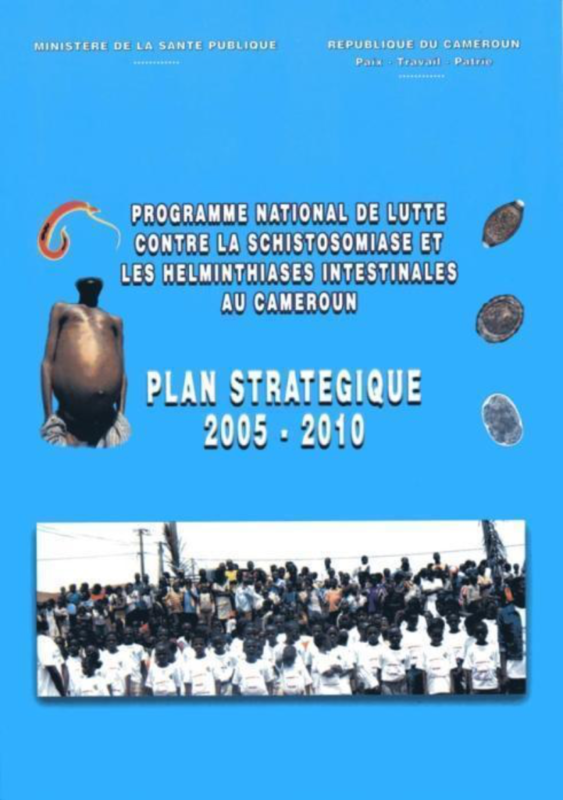 The program guides schistosomiasis and intestinal worms control efforts as outlined in the Strategic Plan 2005 - 2010. The Strategic Plan provides a common framework for the scale-up of evidence-based intervention by the government, development partners such as civil societies involved in the fight against NTDs. It stipulates the priority control interventions and the investments required for achieving the goals and targets set for the specific period. The overall goal of the plan is to reduce mortality and morbidity caused by schistosomiasis and intestinal worms, thereby setting the foundation for pre-elimination subsequently. This is in line with the regional goal of eliminating NTDs by 2020 set by the World Health Organisation. The current strategic plan for the period 2015 - 2020 is being finalised.